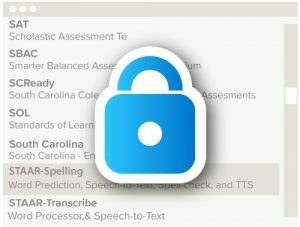 how we used uPAR to screen kids for reading accommodations. how using Snap&Read made it possible to give students access to complex text—regardless of independent reading level. how we used Bookshare to provide qualified students with access to rich reading material. data showing gains in students’ unaided reading scores after only one semester. And we’ll offer some tips to help teachers incorporate these strategies in their classrooms. The human need for communication is essential and universal. Everyone from emergent communicators to world-famous authors share the same desire to be heard. In special education and autism classrooms, communication through First Author Writing Curriculum culminates through the Author’s Chair—the place of honor where every student gets to share, listen and respond to peer writing. They present what they wrote through any means available to them whether an AAC device, verbally, or through a partner. Communication skills are a crucial element of student development, and students with complex needs are no exception. Yet, many students with complex needs have difficulty communicating. I will share ways educators are using writing as a tool for expression and communication. These classrooms show us that implementing comprehensive writing instruction has wide-ranging effects that we’re only beginning to understand. You teach students from diverse cultures. Each one comes to your classroom with unique background knowledge including native language and traditions. American instructional methods and materials may be foreign to your students. How will you help all your students feel connected to the materials you teach? Beth Poss (assistant principal and SLP) will share strategies to help you better accommodate your culturally-diverse students and help them access classroom materials through UDL, Accessible Education Materials (AEM), and technology. Co:Writer automatically adjusts features to comply with testing requirements. Setup/Management — Select your assessment from the drop-down menu in a centralized location and Co:Writer automatically adjusts over 35 features to comply with testing accommodation requirements for any number of selected users. Settings — A drop-down menu provides automatic settings adjustment to comply with state assessments (see list below). Installation — Co:Writer Test Mode is built into the same tool your students use throughout the year. No additional installation is required. Test Security — Co:Writer, in Test Mode, does not send any text outside of the secure writing environment—eliminating the risk of compromising security. Proof of Accommodation Use — Co:Writer data shows when the tool was issued to each student and usage data to prove it was used for the required time period leading up to the assessment. Let’s find out what students CAN do! How should you use your time to elevate learning in the classroom while creating alternate assessment outcomes? – brought lessons to life through age-respectful ELA, social studies, and science content for middle and high school students. – elevated their Reading/ELA block. – created opportunities for communication and interaction with peers. Now’s the time to choose your reading curriculum for next year. This webinar will help you make the right decisions that will bring benefits to your students and educators for years to come. For years, word prediction has been an essential tool in the practitioner’s toolkit. It helps students write better by covering needs that range from spelling to word recall. In this webinar, we’ll show you how you can use Co:Writer to help students write with core features like Neuron Prediction and FlexSpell, as well as new features including Speech Recognition and language supports. See how Snap&Read supports students who have a primary language other than English with features like Dynamic Text Leveling, Translation (over 100 languages), text-to-speech, and the new Picture-Supported Dictionary. Google for Education gives you a solid foundation of writing tools. But for students who need more support, Co:Writer expands the capabilities of Google to cover needs ranging from spelling to word recall. In this webinar, we’ll show you some features of Co:Writer (like Neuron Prediction, FlexSpell, and Speech Recognition) that can help.